Today I want to talk about airsoft sniper rifles. They are a weapon that require a lot of skill to use effectively but in the right hands they will instill fear on the enemy and can turn the tide of the battle. No one likes it when team-mates start dropping like flies and no one has any idea where the shots are coming from. They are also great for taking out that machine gun post that has been slaying your whole team for a while from a safe distance. These days there are a lot of sniper rifles to choose from. You can also get lots of aftermarket mods for them and most of the guns won’t live to the full potential without some modding. To help your pick the best airsoft sniper rifle I’m going to tell your what features your should be looking for in a good airsoft sniper rifle and find the best one in the market. I will introduce a couple options for different budgets. A good sniper knows when NOT to take the shot. Playing as a sniper your need to have a good situational awareness on the battle field. Some times it’s better not to take the shot even when the enemy is served to your on a platter. The main role of a sniper is to give long range support to team-mates and to disrupt and wreak havoc among the enemy team. To be successful in these goals a good sniper will avoid detection at any cost. A sniper will usually move alone or with a spotter away from the rest of the team. If your have successfully flanked an enemy team and your give away your position your will be easily over taken. That’s why a good sniper never gets too close to the enemy and thinks twice before taking a shot. Sometimes it’s wise to let the enemy move away from your to avoid detection instead of engaging. A good sniper will know how to use his/hers surroundings for camouflaging and moving without detection. This means lots of crawling and staying still as well as choosing the right kind of camouflage or ghillie suit for the terrain. An experienced sniper will enhance his/hers camouflage by using vegetation attached to his suit. It’s also wise to camouflage the rifle. For an airsoft sniper rifle to really shine in its role it needs a few key qualities. Firstly it of course has to be accurate. This requires superior build quality of the stock and the mechanics since there cannot be any play or wobble between the parts. It also requires very consistent operation since airsoft guns accuracy is highly dependent on the air pressure that drives the BB out of the barrel through the hop-up system. In low quality gun there can be surprisingly large variation of muzzle velocity between shots. The velocity affects greatly how the BB reacts with the hop up and the accuracy and range at long distance. This variation is usually not a problem on mid range weapons so it’s usually not something your have to worry about on your average AEG but with a sniper rifle it’s extremely important the shots are consistent. Considering the role of a sniper, stealth is very important. A good sniper rifle needs to be as silent as possible. In skirmish weapons it’s usually fine to make them loud if your like since this creates a certain level of realism and ambiance to the game. But since snipers role is to support and disrupt it’s very important to avoid detection as long as possible a silent rifle is very important. 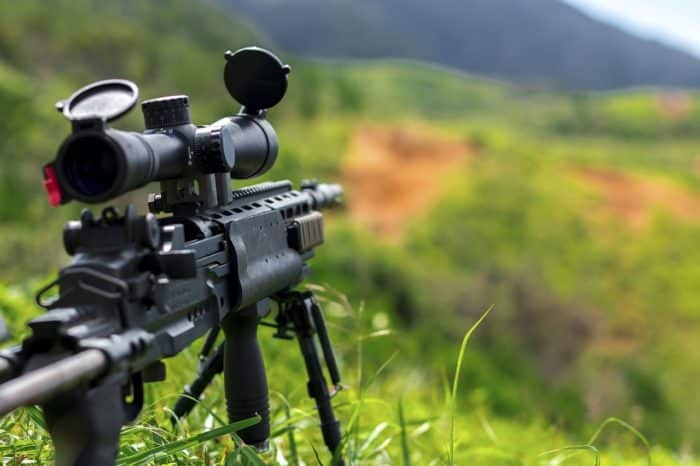 In airsoft the ranges that a sniper uses to engage are only a fraction from the real life counter parts so the silence of the rifle is very important. Since the main role of a sniper is to engage from a long distance a good airsoft rifle requires a lot of power. This means high muzzle energy and usually the need for heavy BBs since they have a more stable trajectory at long distances. These days you can get even the heaviest BBs in biodegradable materials, so please save the nature and use them. 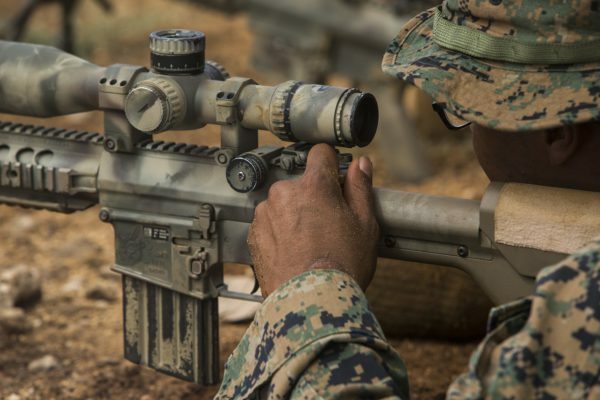 Good sniper rifles are dangerous at close ranges and should never been used at ranges below 30 meters (100 ft). In general a good sniper won’t use semi auto rifles since firing multiple shots from the same location will increase the chance of detection. That’s why semi auto rifles are more suitable for the designated marksman role and the true sniper rifles displayed here are all bolt action. Bolt action rifles also have higher power limits in most games so they serve the long range role better in that regard as well. A good rifle also requires a good scope. 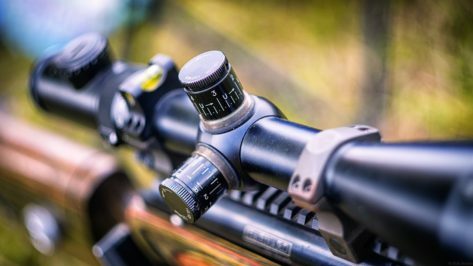 In airsoft your don’t need crazy magnification but your should definitely invest in a quality scope that keeps it’s aim and is easy to adjust for windage and elevation. Cheap scopes are nothing more than a decoration. Bi-bods aren’t really that useful in airsoft in my experience so they are optional. They are good for extreme range shots if your’re playing for example in a defending role that requires less movement but usually they will just get on the way when changing position. Camouflage is important. If your mainly play in a one type of consistent environment your might consider painting the rifle. But if your play in varying environments I recommend using camo wraps that come in all colors. So your want a rifle that meets all the above requirements out from box? Well I got your covered. The best airsoft sniper on the market out of the box in my opinion is the ASG USMC M40A3. It’s a spring operated bolt action rifle based on the ever so popular Tokyo Marui VSR-10 design. This means there’s are lots of after market parts if your decide your need to upgrade it. The thing is, this gun performs out of the box so well that there should be no need for major upgrades unless your want to really optimize everything about the gun. The build quality of the M40 is phenomenal. The rifle is very solid and robust. The quality build makes it somewhat heavy but in a good way. You just know the gun can take a beating just by holding it. The accuracy is superb out of the box even though it’s not the most powerful sniper rifle right out of the box. But your have to realize power is not everything when it comes to range and accuracy. It’s the consistency between the shots and the guns mechanics that matter and this is where the m40 really shines. If your are worried about the power your can always upgrade the mechanics with something like PDIs kit. The bolt action on the rifle is as smooth as your can get on a rifle with heavy spring. There are gas operated bolt action rifles but the biggest problem with them is inconsistency between shots since gas pressure is affected by the temperature. Gas rifles can also have problems with hop up consistency as the expanding gas cools the rubber down. That’s why I think spring action sniper rifles are better overall even though the bolt action on gas rifles is much more realistic. The hop up adjustment is located at the bottom of the gun and is easy to operate unlike in many sniper rifles, which require special tools. The rifle doesn’t come with a scope so I recommend getting a high quality low magnification scope with large aperture for a large field of view (Such as this). The muzzle of the rifle is equipped with hidden threats for mounting a silencer adapter (not included). The gun is reasonably silent due to the sturdy built but a silencer can make it a bit quieter especially from the front. The only downside of the gun is the 20 round internal mag. This is just a tad small for longer games but on the other hand it really makes your count your shots and hone your sniper skills. The reloading is also pretty fast so it’s not that big of a deal. If your decide to get the gun your should definitely get some high quality heavy BBs with it to ensure high accuracy and smooth operation. Believe I know everyone can’t spend thousands of dollars on toy guns. That’s why I’m also introducing the best airsoft rifle your can get if your are on budget. It is almost as effective and accurate as the M40 with a considerably lower price tag. If your are on a budget my recommendation would be the Well full metal mb08. I know it is not that much cheaper than the ASG m40 but a decent scope is included and the rifle is very high build quality for a “cheaper” manufacturer. This is a site about the best airsoft guns after all – not the cheapest :). Just like the ASG this rifle is fully upgradable and the performance is good enough out of the box for me to recommend it as the best airsoft rifle your can get on a budget. The mb08 is a replica of the British l96 bolt action sniper rifle and the gun is very sturdy and made out of metal and high quality polymer. Just like m40 the only real con is the smallish mag. So what do your think of my choice for the best airsoft sniper rifle? Do your have better ideas or questions about the rifles? Drop a comment below and I’ll be happy to help your out. Another great article! My boys would love, love, love to get their hands on one of these puppies. Who knew airsoft could were so affordable and fun? ?